Helping kids has never been so fun. Your sponsorship and participation positively impacts a child’s life. Not to mention, it makes you a part of something big. To be a sponsor of one of our special events, contact Brehanna Skaletski, Developerment Director, at 920-489-3513 or email brehannas@bbbsnew.org. Hit the lanes for Bowl for Kids’ Sake. Each year, hundreds of people come together to have fun and raise money to support Big Brothers Big Sisters of Northeast Wisconsin. Our signature fundraisers are held in Ashwaubenon, Sturgeon Bay and Shawano each year during January, February and March. Collectively, these events raise more than $100,000, which significantly impacts our annual operations costs. 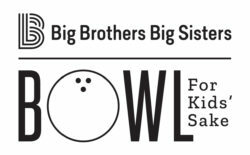 Bowl for Kids` Sake is the perfect way for individuals and companies to make an impact on our community – it only takes a little bit of effort to raise the money that is vital to our program`s success! As a “thank you” for your support and enthusiasm, Big Brothers Big Sisters of Northeast Wisconsin hosts a celebratory party at a local bowling alley. No bowling expertise is required, only the willingness to share in our heartfelt and sincere thanks for helping us transform our community. Golf with on a championship course with Golf For Kids’ Sake. Join us for a charity golf outing to benefit the mentoring programs of Big Brothers Big Sisters of Northeast Wisconsin. Each June, more than 160 golfers have the chance to try their skills and connect with other professionals and clients the championship Legends Course at Thornberry Creek at Oneida, the official course of the Green Bay Packers and site of the Thornberry Creek LPGA Classic. Golf for Kids’ Sake raises $50,000 annually for youth mentoring and provides another opportunity to grow awareness of our programs to business professionals. Golfers may choose to golf 18 holes on the challenging Legends or 9 holes on Iroquois, a fun-filled atmosphere to support a great cause. Not a golfer? The 9 hole course is for you – each hole includes competitive activities for the non-golfer to enjoy the day and win prizes, all for charity! Learn about the impact we make in the community at Big Breakfast/Big Tailgate. 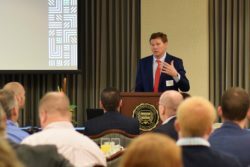 Big Breakfast and Big Tailgate events are held annually in Green Bay, Sturgeon Bay and Shawano to generate revenue for our programs and educate and increase awareness of Big Brothers Big Sisters of Northeast Wisconsin’s programs. Table Hosts (supporters who are knowledgeable and passionate about our organization) invite guests to attend this free breakfast to learn about our services, hear about our successes and growth and, hopefully, attendees are inspired to support us with a monetary contribution, become a volunteer mentor or support us by joining one of our special event committees. How Can I get Involved? If you are interested in attending one of the events or becoming a Table Host, please contact: Joyce Anderson at joycea@bbbsnew.org or (920) 489-3535. Wine and dine at the Taste of the Town & Chef Showdown. Chef Showdown and Taste of the Town are two nights of back to back fundraising for Big Brothers Big Sisters of Northeast Wisconsin. The two nights combined are the largest annual fundraiser for the agency raising at least $120,000 for our annual program costs. This supports 120 matches for one year. Taste of the Town is a signature event for Big Brothers Big Sisters of Northeast Wisconsin, dating to 1992. Chef Showdown was a small component of Taste of the Town for many years held in a side room featuring two chefs competing with minimal cooking tools and a small pantry. Chef Showdown was broken out into its own night in 2016 due to the popularity it had gained as part of Taste of the Town. Chef Showdown features four chefs competing live in two rounds of cooking, with the chosen finalist deemed Champion. Selection is determined by weighted votes from a panel of expert judges and the audience. The event also includes high-end catering vendors for sampling of entrees, desserts and beverages. Crowd is capped at 300. Taste of the Town features dozens of high-end restaurant and catering vendors providing sample tastes of appetizers, entrees, side dishes, desserts and beverages. Crowd is capped at 600. For more information on our special events, call Deb Polster, Events Coordinator, at 920-489-3544 or email debp@bbbsnew.org.